Friday words! On Saturday! Another leap Friday, I guess. I should note also that I deliberately skipped last week, because it was Christmas and all the new-to-me words were just so bleak that I seemed like a downer. But things are looking up today. Speaking of which, the new-to-me word today is supertentorial. This is a medical term, but that's not the most interesting part. So, first, the tentorium cerebelli is a bit of dura mater—tissue—that separates the lower and higher parts of the brain. That is, it separates the cerebellum from the cerebrum. Supertentorial, where super is "above," means something that's occurring above this divider, like a tumor. Already we've learned something new! But wait, there's more. I was listening to a podcast on The Allusionist, where Helen Zaltzman was talking to Dr. Isaac Siemens about, among other things, doctor jargon. Along the way, he talked about jargon that medical people use to hide what they're saying from civilians. One of those was this word supertentorial, which doctors will sometimes use to mean that it's all in the patient's head. ("The condition appears to be supertentorial.") My wife, who's also in the medical field, totally confirmed this. 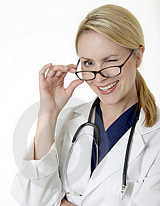 Of course, this strategy backfires if the patient happens to be a native speaker of Latin. But whence flan? The name we're using is Spanish, but English also has the word flawn; this is an example of a word that's been borrowed into English more than once. The flawn version refers to a kind of flat filled pastry (basically, a tart). This sense appears in a lot of Western European languages all the way back to Latin, and seems to originate in a Germanic word meaning a flat cake. The connection to the term as used in Spanish is (I guess?) that custard seems to be one of the fillings for a flawn, and possibly that flans are flat. I don't have a source for etymology of Spanish words, so I wouldn't take this explanation to the bank. But it's what I can put together from the usual sources. 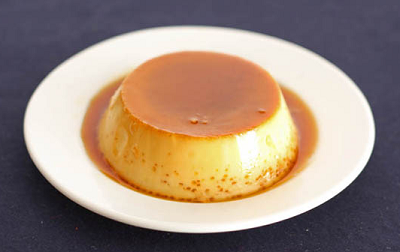 In any event, what I can tell you is that the secret to a good flan is to use extra egg yolks. Not, I also learned, dura matter, which would be a folk etymology, I suppose.